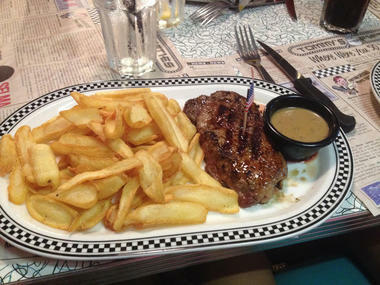 Tommy's Diner is next door to the cinema complex in Sainte-Marie, at Duparc and offers Continental French cuisine. To go through the doors of Tommys Diner is to go back in time and space for a meal in an atmosphere redolent of the Fifties and Rock'N Roll. 5 min by car from Sainte-Marie harbour, the Zone d'Activités de la Mare, and Roland Garros Airport, and 10 min form the centre of Saint-Denis. Environment / Access : From Roland Garros Airport, take the expressway towards Sainte-Marie / Saint-Benoît. Stay in the right-hand lane to exit and head for the shopping centre. 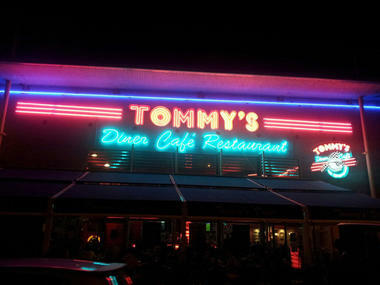 At the third roundabout, turn left and follow the signs for Tommy's Diner.